Capricorn #005 | Capricorn Life - Capricorns Rock! 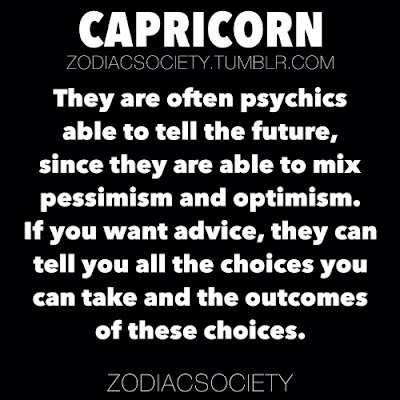 They are often psychics able to tell the future. Since they are able to mix pessimism and optimism. If you want advice, Capricorn can tell you all the choices you can take and the outcomes of these choices.